It’s an 11-minute drive via Matlock Rd and S Cooper St from our hotel to the university. Quality Inn at Arlington Highlands offers guests a convenient location near campus so you can spend more time on campus and less on the road! It’s an 11-minute drive via Matlock Rd and S Cooper St from our hotel to the university. 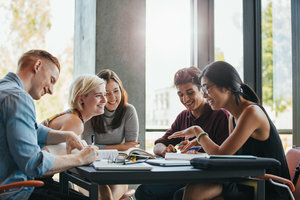 Our affordable rates make it easy for you to stick to your budget while visiting the school for work, campus visits, or a convocation ceremony. Complete with our complimentary Wi-Fi and hot breakfast each morning, it’s easy to feel at home at our hotel near the University of Texas at Arlington. Download a map of campus to find your way around. Maverick Parking Garage or West Campus Parking Garage are the closest visitor parking lots to campus. Don’t worry about walking all day long. 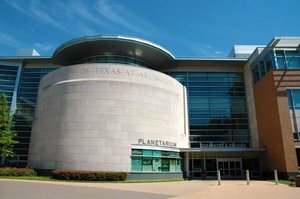 University of Texas at Arlington offers a shuttle system to provide you with a scenic view of campus and an easy way around. While you’re visiting campus, explore some of our favorite local points of interest! Levitt Pavilion is a performing arts center, with a rotating calendar of performances and fun live spectaculars. The Gallery at UTA is another popular place to visit, with interesting lectures, art exhibits, and more seasonal showcases. 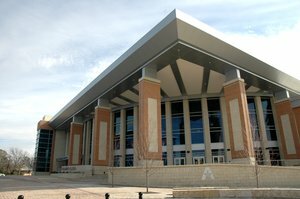 Championship games for the UTA Mavericks are held at College Park Center, Maverick Stadium, or Clay Gould Ballpark. Stay at our hotel near the University of Texas at Arlington to stay close for your next campus visit.